STAY A NIGHT OR A LIFETIME! Near Florida's premier attractions - Kennedy Space Center, Orlando theme parks, Daytona racing, cruise terminals & casinos. 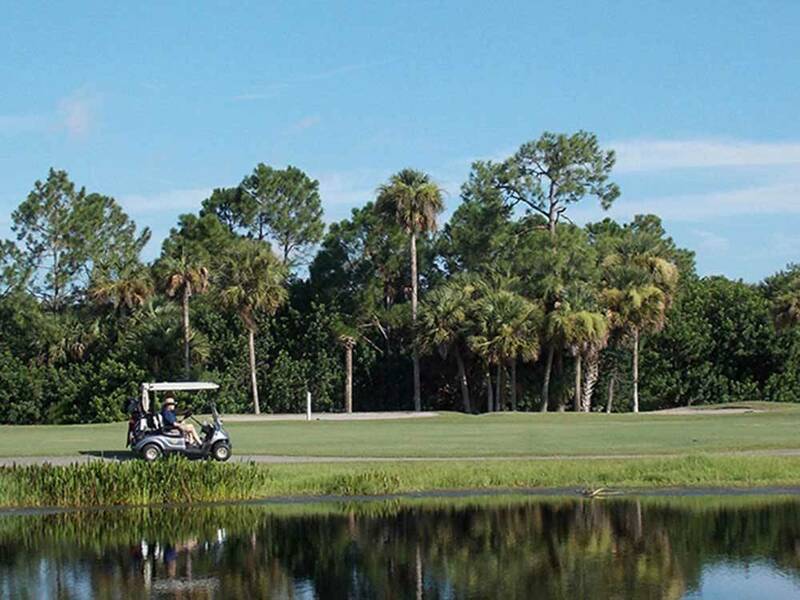 Enjoy onsite 18 hole golf course, tennis, swimming, fishing and much more. We enjoyed it so much we bought a lot down here. We had camped at other resorts in Florida, but this one is quite different. Nice wide sites, many activities, and a lot to do in the surrounding area. We have met many nice people here and always look forward to returning. This is our third year here. very freindly staff at the reception.We receive lots of informations for visiting Titusville, and the Kennedy space Center. We stay 3 nights . The site was dirty, with leftover from probably a previous visitor. The general maintenance of this site vas very poor. Backing up was for me difficult.There is no pull truw . This site was not worh the price they charge. The Great Outdoors is as good as it gets. Well thought out and designed with beautiful landscaping. Great Amenities and activities. Friendly staff. The Location is fantastic, just off I95. 45 minutes to Disney, 15 miles to Cape Canaveral seashore and the Kennedy Space Center. Tons of walking paths and fantastic dog park. This is such a great resort we bought a lot here. 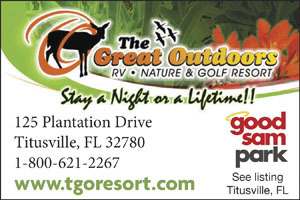 It is a wonderful community of RVers with anything from an RV site to beautiful RV homes.